The Clerics of St. Viator founded Saint Viator High School as a school for young men in 1961 in an effort to fulfill their commitment to the Christian education of youth. 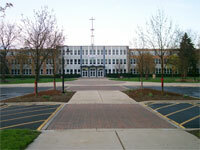 In 1987, Saint Viator High School merged with Sacred Heart of Mary of Rolling Meadows to become a co-educational institution. Saint Viator High School is a Catholic college preparatory community committed to providing religious formation and an academic program of excellence for young women and men of the Northwest suburbs of Chicago. Viatorians serving at SVHS: Associates Cathy and Don Abrahamian, Fr. Charles Bolser, Fr. Dan Hall, Br. Peter Lamick, Associate Joe Majkowski, Associate Barbara D’Urso, Associate John Paulik, Associate Ann Perez, Fr. Arnold Perham, Associate Tim Schwarz and Fr. John Van Wiel. In 2014, Fr. Daniel Belanger, CSV, was asked to become pastor of the historic St. Mary’s Church, along with pastoring its neighboring parish, St. George Church. 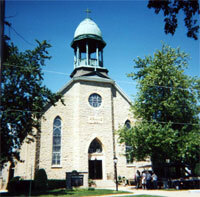 St. Mary’s was founded in 1857 by a group of French Canadian families, who traveled down the St. Lawrence River and across the Great Lakes in search of farmland. 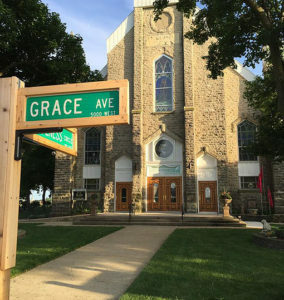 The church now serves approximately 100 farm families who continue to work to preserve the church, known as the “cathedral in the cornfields” and in 1996 parishioners successfully had it placed on the National Register of Historic Places. Fr. Dan is the only priest serving the community. Maternity BVM is the first permanent Viatorian parish in the United States. Fr. Pierre Beaudoin, Br. Augustin Martel and Br. Jean-Baptiste Bernard, the first Viatorians, arrived in 1865. The current church is the third church to be built on the site. The first church was a log church built in 1842; the second was built in 1851-52 to replace the log church which had become too small. This church burned in 1853 under suspicious circumstances. The third, is the present church built in 1855 by the parishioners themselves who quarried the stone and hewed the wooden beams. Not a single nail was used in the construction of the church. Viatorians serving at Maternity BVM: Br. John Eustice, Associates John Ohlendorf and Patty Wischnowski, Fr. Jason Nesbit, pastor, and Fr. Daniel Lydon, associate pastor. Website: www.stgeorgeil.comThe first stone structure of St. George Church was built in January 1869 and destroyed by a tornado in April that same year. In 1872, the parishioners volunteered time and expertise to build the church, whose outer walls survive today. The church was gutted by fire in 1959, but the new church emerged within the stone walls of the 1872 church and was dedicated by Bishop McNamara in 1960. Viatorians serving at St. George: Fr. Dan Belanger, pastor, Associates Susan and David Surprenant, and Associates Curt and Kathy Saindon. The Viatorians founded St. Viator Church in 1888 outside the city limits of Chicago in the Irving Park neighborhood. The parish moved to its present location on Addison Street in the early 1900’s. The cornerstone of the present church, rectory and convent was laid in 1927 and and dedicated by Cardinal George Mundelein in 1929. Viatorians serving at St. Viator: Associates Jackie Dupon, Betty Faraci, Linda Nishi, Hector Obregon-Luna, Susana Tellez and Ivy Vera, Fr. Patrick Render, pastor, and Fr. Moses Mesh, associate pastor. St. Patrick Church began in 1891 when the Catholic Columbian Association assembled and formed a building committee which chose the lots of the present location. 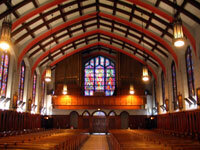 Church construction began in 1892 with the first service in the new building held on March 11, 1894. 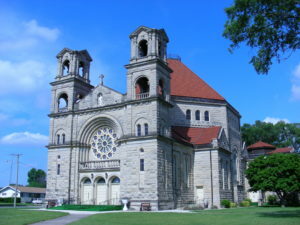 The Romanesque style limestone building is 135 feet by 60 feet originally designed to seat 600 worshipers for an original cost of $35,000. 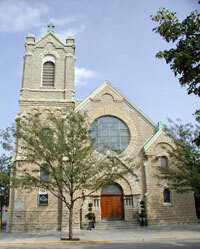 The Clerics of St. Viator began serving at St. Patrick’s in 1931. Viatorians serving at St. Patrick Church: Associates Michelle and Ken Barrie, Associate Marilyn Mulcahy, Fr. John Peeters, Fr. Richard Pighini and Fr. Donald Wehnert. Located in McHenry, IL on seven acres of serene woods on the shores of the Pistakee Bay, the Villa was originally a summer home for the Viatorians. Fr. Gene Lutz began offering retreats for inner city youth in 1965. 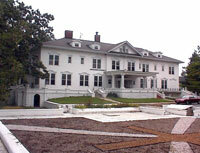 In the 1970’s, the Center was opened to members of recovery groups. Br. Pat Drohan has continued in Fr. Lutz’s footsteps. He has been ministering at the Villa since 1963 and is considered the backbone of the Center. Viatorians began teaching at Alleman High School in 1953 and assumed responsibility for operation and administration of the school in 1967. 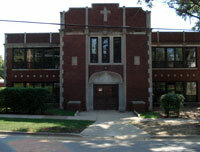 Alleman is a Catholic college preparatory school currently administered by the Diocese of Peoria. Fr. Daniel Mirabelli, who has been on the faculty/staff for nearly 50 years, is the Director of Development. 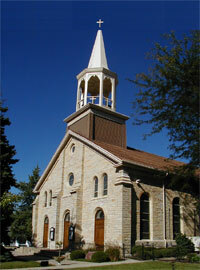 St. Anne Church was founded in 1851, and the present church was built in 1872. The Clerics of St. Viator have been charged with the direction of the Parish since 1920. In 1856, the founder of the Village and the Parish, Fr. Charles Chiniquy was sent to start a parish for the large number of French Canadians that had settled in the area.. After arriving, Fr. Chiniquy began to question many of the beliefs of the Catholic Church. After many difficulties he was excommunicated by the Catholic Bishop of Chicago. Fr. Chiniquy led the larger part of the parish into schism and eventually affiliated with the Presbyterian Church. Fr. Chiniquy sued in civil court for the parish church. He won the suit, and the Catholic remnant had occasional Mass in cabin homes served by a priest from Beaverville. The present church grew from that remnant. The Clerics of St. Viator were called from Montréal as orthodox Catholic teachers to combat the influence of Fr. Chiniquy. The schism at St. Anne was the moving force behind the Clerics of St. Viator’s mission to the United States. Fr. James Fanale is the current pastor of St. Anne Church. 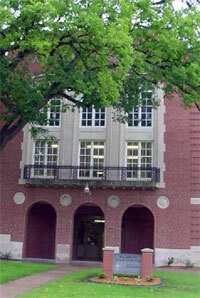 Cristo Rey St. Martin College Prep is a Catholic co-educational college preparatory school. As a Cristo Rey Network school, education is made affordable through each student’s participation in the Corporate Internship Program. Students work five days a month at a corporate partner to offset the cost of her/his education. In turn, each student experiences a real workplace environment. Viatorians currently serving at CRSM: Associate James Thomas, board member, and Fr. John Milton, physics consultant. 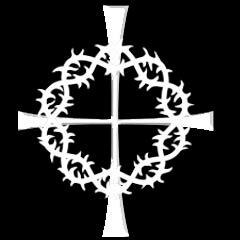 St. Thomas More Catholic Community was established in 1986 in response to the rapid population growth in Southern Nevada. The Clerics of St. Viator were invited by the local bishop to assume the direction of this new community which is the third Viatorian Parish in the Diocese of Las Vegas. Viatorians serving at St. Thomas More: Fr. 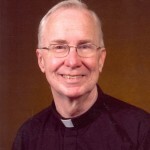 Michael Keliher, Fr. Alan Syslo, Associate Juliann Dwyer, Associate Lisa Fairweather, Associate Ken Rosania, Associate Cheryl Schwarz and Deacon (Associate) Michael Underwood. In 1954, the Viatorians were granted a parish of their own. St. Viator Parish, Las Vegas was first held in homes of parishioners, then a bank, and various other locations. In 1963, fifteen acres near Flamingo and Eastern streets were procured from the Bureau of Land Management in order for the church to be built. In 1977, a new church building was completed. Las Vegas continued to have a population explosion facilitating the need for a larger church to accommodate this growing population. 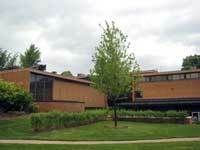 On September 2, 1995 the first Mass was celebrated in the current building. Viatorians currently serving at St. Viator Church: Fr. Richard Rinn, Fr. Larry Lentz, Br. Rob Robertson, Br. Michael Rice, Associate Anthony Gugino, Associates Paul and Rosy Hartz, and Associate Deborah Perez . 2880 N. Van Der Meer St. Opening in the fall of 2019, the Viatorian Community will sponsor the 33rd Catholic school in the Cristo Rey Network, that serves more than 10,000 students across the country. Fr. Thomas von Behren, CSV, will serve as president and already is working to build support for the school in the Las Vegas community. Viatorians also serving the school include: Br. Carlos Flórez, CSV, and Associate Dan Schwarz. 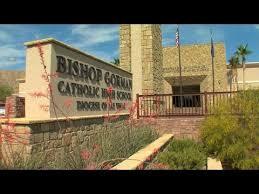 Bishop Gorman High School opened its doors in 1954, as the result of a collaboration between the Diocese of Reno-Las Vegas, Romy and Kathleen Hammes, who donated the land, and the Clerics of St. Viator, who agreed to administrate and staff it. It was and continues to be the only Catholic high school in southern Nevada. Its mission has remained the same: to be a national leader in college preparatory education, in an environment distinguished by Catholic values. Over the last 60 years, many Viatorians have served at the school. Currently Br. Rob Robertson, Br. Daniel Tripamer and Viatorian Associates Kim Martinez and Bridget Michlik serve at the school. 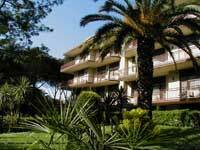 Colegio San Viator was founded in 1963 to provide a quality Catholic education for young men. In 2012, it began transitioning into a co-educational school, and in 2016 it began the process of being accredited as an International Baccalaureate School. Colegio San Viator seeks the balanced development of students as a way of bringing about personal and social change. One of the goals of the school is to graduate its students with solid human and Christian values who are intellectually prepared to successfully deal with the advances taking place in the world. Viatorians currently serving at Colegio San Viator: Fr. Alejandro Adame, Br. Fredy Contreras, Fr. Felipe Montes, Br. William Pardo, Fr. John Pisors, Br. Edwin Ruiz, Br. Juan Carlos Ubaque, and Fr. Albeyro Vanegas. Phone: (57) (1) 6765005Viatorians further expanded their ministry in Colombia in 2014 by accepting the administratin of Parroquia Santa Ines, located in the sector of Guaymaral, north of Bogotá. 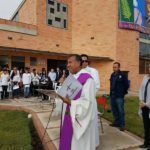 In addition to consolidating many activities at the parish and improving its facilities, Fr. Frank Enciso, its first Viatorian pastor, established a chapel of adoration of the Blessed Sacrament. 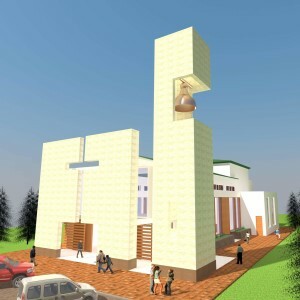 Viatorians furthered their commitment to the people of Bogota, with the latest plan to build a new parish, St. Viator. Fr. Edgar Suarez, CSV, superior of the foundation already serves as pastor of the new parish, celebrating Mass with parishioners under a tent. 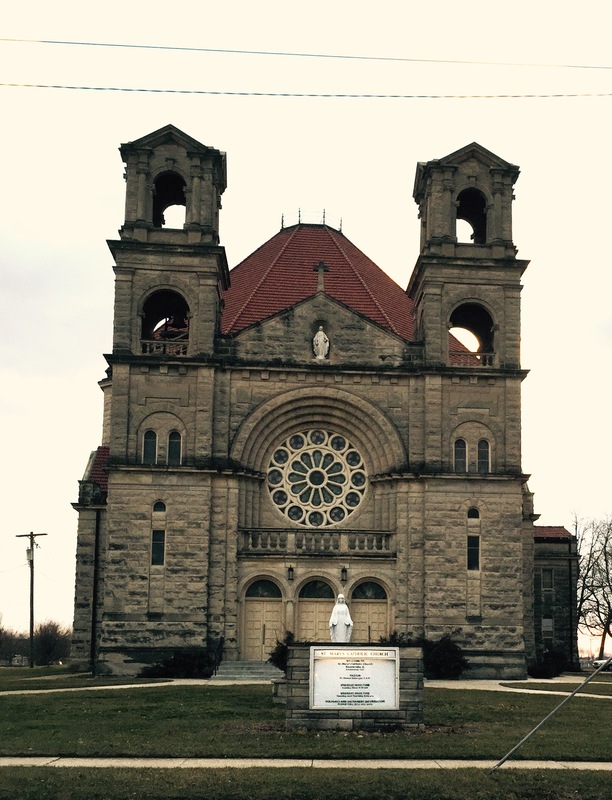 Fundraising for the proposed church began in 2014 and continues. Fr. Frank Enciso, CSV, also lives in residence at the parish and assists in ministry. Viatorians furthered their presence in Colombia in February, 2017, when they opened a second school in the country, Colegio San Viator, Tunja. Set amid the Eastern ranges of the Colombian Andes, the school is co-ed and serves kindergartners through high school students. It also features all the qualities of a Viatorian education, namely one that is faith-based, co-educational, bilingual and pastoral, with professed Viatorians on staff. Fr. Pedro Herrara, CSV, serves as president. Fr. Fredy Contreras, CSV, serves as vice president of the school, while Br. 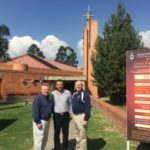 Juan Carlos Ubaque, CSV, works in Campus Ministry.